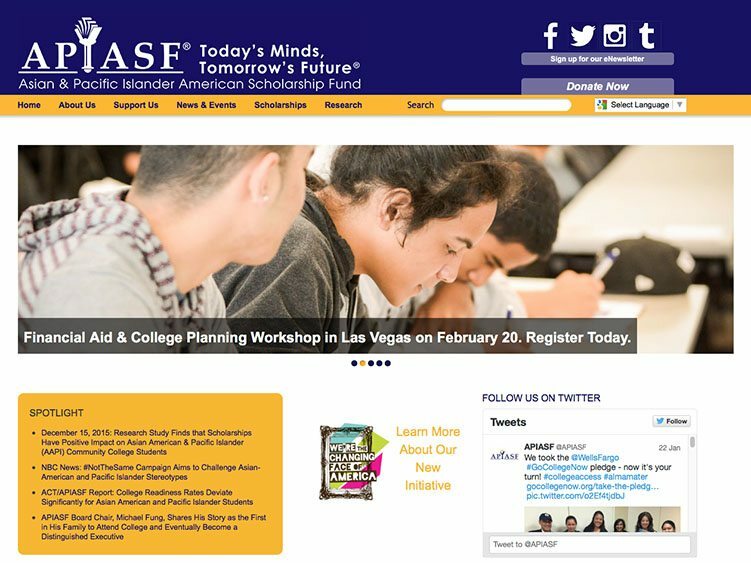 APIASF is the nation’s largest non-profit devoted to providing college scholarships to Asian American & Pacific Islander students. A long time working relationship between ExtraCheese and APIASF covering custom website design, development and maintenance including special project and, event websites. ExtraCheese is owned and operated by Jeff Castrina.